Gut health isn't just a health and wellness buzzword right now. It's serious business. That's why we're so excited about this month's We Heart, Guts & Glory. Summer Bock is an herbalist, fermentationist, and business owner of one our favorite apothecaries, Guts & Glory. She is passionate about the healing power of herbs and has helped thousands of people rebuild their microbiome by using her handcrafted small-batch organic herbal formulations. Beyond well-tuned digestion, another major benefit of Summer's Guts & Glory Apothecary products is blemish free, glowing, healthy skin. Summer let me us on her passion for creating the highest quality, filler-free herbal products she wished she could find in the store. Since she wasn't impressed with what was available, and she wanted to give her clients the best formulations to heal their bellies, she decided to create them herself. Her products produced measurable improvement for her gut rebuilding clients. So, Summer decided to find a trained herbalist and a reputable source for the organic ingredients and started offering these formulations for sale in her online apothecary store. Summer graciously sent us over some samples for us our team to test. Simply put, we were impressed with them all, but two products were clear front-runners for everyone here at Annmarie Skin Care headquarters. Everyone loves the Prebiotic Energy Power. This powder is a favorite to mix into morning smoothies or in an afternoon nut butter snack. It gives a natural energy boost without the jitters normally experienced from drinking too much caffeine. It's so good at keeping us going through the day we call it “pep” powder. The other crowd pleaser was their Liver Lover Warming Bitters. 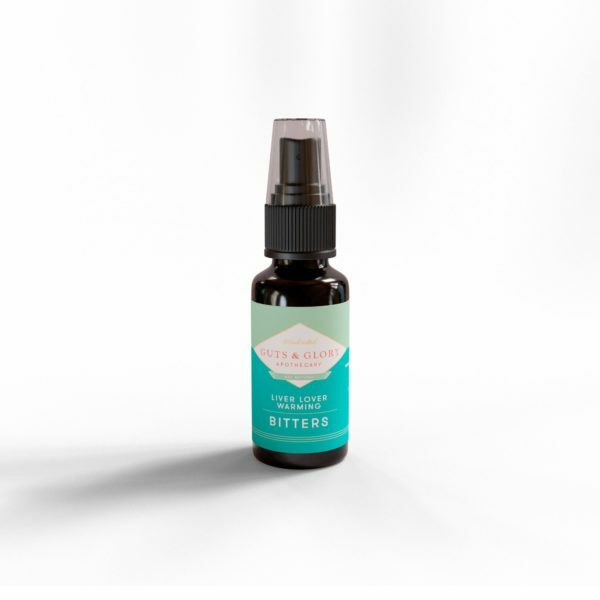 These bitters fire up digestion so we could absorb the nutrients from our food more completely without experiencing gas or bloat. Using them is a great starting ritual to get present and be mindful before each meal. That burst of flavor in the mouth gets the saliva flowing and genuinely prepares the gut to more readily receive what it needs. Summer's Liver Lover Warming Bitters also aid in detoxing the liver, which keeps dull, dry skin and acne at bay. As far as we're concerned, it's an absolute necessity for clear and glowing skin. When crafting her apothecary products, Summer takes good care to make sure no corners get cut. Her formulations are simple and effective. She is transparent with her list of ingredients for every product. You'll find no fillers, only the absolute necessities to get you high-functioning digestion and a healthy, balanced microbiome. We know your standards around caring for your skin. 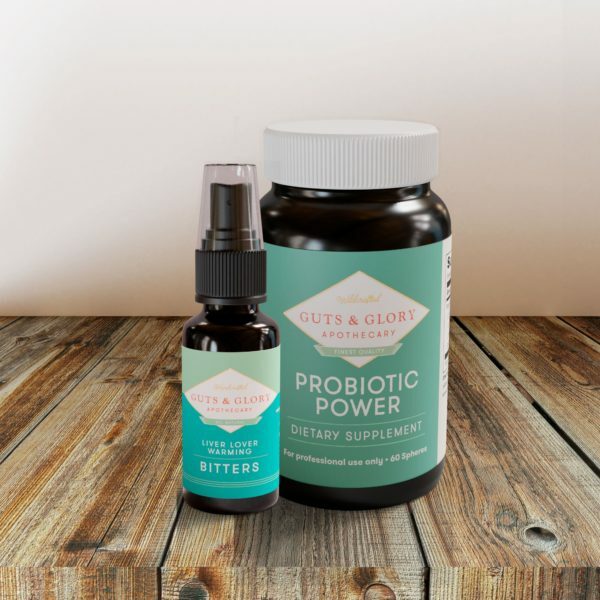 These Guts & Glory Apothecary products more than meet those. Think of Summer's herbal products as something you're putting in your body to support a healthy digestive system – one that produces healthy skin from the inside out. Because Summer's products have earned a permanent spot on the counter in our Annmarie Skin Care kitchen, they've earned the We Heart spot for the month of March. Visit the Guts & Glory Apothecary and discover your own new favorites from her selection of powders and bitters. Use code coupon ASC10 when you checkout to receive 10% off your order. Plus, if your order totals $99 or more, you'll qualify for free shipping in the continental United States. I hope you heart these herbals as much as we do! Use code ASC10 when you checkout to receive 10% off your order at Guts & Glory! Am excited to try these, because gut issues have been my number one problem my whole life.